The latest news in the long running ZTE saga has the company complying with a list of demands agreed to by the company and the Trump administration so that the crippling U.S. export ban could be lifted. The ban prevented the company from obtaining approximately a third of the hardware, software and components used by the company to produce a smartphone. ZTE has already paid a $1 billion fine, and has agreed to place $400 million in escrow to cover any future misdeeds by the Chinese manufacturer. 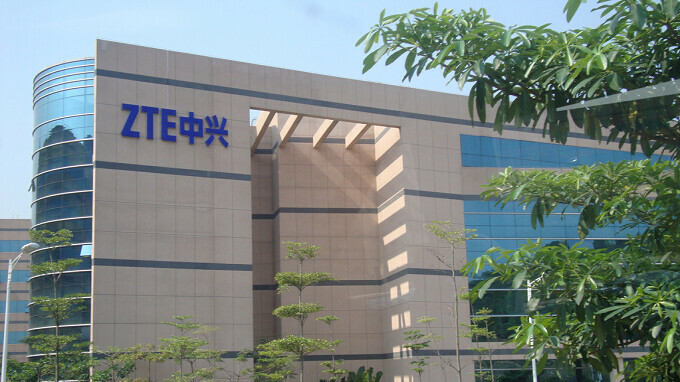 In addition, the company agreed to allow a U.S. team to be embedded inside it to monitor the firm's compliance with U.S. prescribed punishments; its failure to comply with the Commerce Department's disciplinary actions after selling goods and services to Iran and North Korea is why ZTE is in this position in the first place. Another part of the agreement with the current administration requires ZTE to replace its Board of Directors and top executives. The former all resigned and a new eight-person Board is in place. The company's new CEO is Xu Ziyang, who had headed up ZTE's German division. The manufacturer also reached within the company for its new CFO, CTO, and HR chief. According to the Wall Street Journal, as of yesterday, the export ban is still in place. Before the July 4th holiday, the Commerce Department said that it would allow certain U.S. companies to work with ZTE until the end of this month. There also is the question of an amendment added to a defense-related bill, which passed through the Senate. The amendment calls for the export ban to remain in effect. The House's version of the bill does not contain that amendment, so it remains to be seen whether the attempt to legislate a death sentence for ZTE will make it to the White House. If it does, it surely would be vetoed by the president. What Trump hotel are they holding their next convention at? probably the one that you can't afford to stay in. lolz. Member for 3 hours? Do you create a new identity for each troll? And I think they should have let ZTE rot. Trump rulz! Swamp is draining so fast. Yes it is. His appointees and cabinet are dropping like flies. Now we just need Meuller to drain the biggest patch of swamp gas. This has got to be the most anti American administration ever. yes, obozo was the most anti-american POS, i mean potus on record. Anti American??? Think you should maybe elaborate lol. Trump is the best thing to happen since Kennedy. Wish we had him up here in Canada so he could clean up this growing pile of garbage. Trump is the worst president of my lifetime (which extends back to Nixon). By a huge margin. More crooked than Nixon. More inept than Carter. More of a sexual predator than Clinton. Dumber than G. W. Bush We really wish you had him up there in Canada. Or anywhere else, really. One its not Trump that wants ZTE out but the SENATE. Lone is right you are alone boy. Blame Trump for anything and EVERYTHING PERIOD. Trump actually stated killing ZTE was bad for the country but again the SENATE implemented this ban anyhow. These conditions were made so that ZTE wouldn't have to shut down in the states entirely and were AGAIN agreed upon by the Senate. Trump states a lot of things. This, like most things he states, has no basis in truth. I just hate this country and what it's doing. There’s plenty of beautiful Euro countries you can go to. They’ll gladly take you...just leave your freedoms at the door. What freedoms? I can't even be at peace because of the racial discrimination that my family and I have faced since this dingus became president. You probably identify yourself solely based on your skin color, so any interaction you have to think it’s racially influenced by your own insecurities. Or perhaps you expect people to bend the knee because of your race? As a mixed black person, I can say that I haven’t experienced racism. Racism is the chains that the democrats have on you, yelling it in your ear to believe in it. To say you can’t be at peace, for something in your head, is pure dramatization. This what you don't get, constantly in the back of my mind, I wonder if I'm going to be killed today or if I'm going to be falsely accused of something due to my background, complexion and the way these police departments enact on suspects. And the severity of this is even worse since a lot of my family are foreigners, including myself. Heck, even less than 5 miles away from where I reside, an African-American male had a gun pulled on him by a Caucasian male for NO REASON and he was still reprimanded by the officers and HELD AT GUNPOINT with an assault rifle in front of his wife and children. I don't see what part of this is a dramatization, but whenever YOU become a foreigner and you're living in a country like this, you'll understand the mistreatment we face, not only from my race but MANY others. Alan shouldn't the title be "Trump destroys America and ZTE replaces its top executives and board to comply with Trump administration deal"? Not a single word about the Ivanka Trump fake news deal this time. I am still not impressed. What has he won? Obamacare is still the law of the land. North Korea made a fool of him. Democrats have won most of the special elections since his election. The investigation into his collusion continues, with many indictments and convictions and more to come. The markets are floundering due to his trade wars. Where is all this winning? We get yet another scotus pick how much we are winning lolz! Yet another clear and obvious violation of the Emoluments Clause by President Manbaby. He just can't resist conflicts of interest.